Brian Lim has built a multimillion-dollar business on the concepts of "rave" and "gloving." Lim's startup EmazingLights, which he started with just $100, has quickly evolved into a mini-empire in the niche market of EDM (Electronic Dance Music). Based in Anaheim, Calif., the company is best known for its gloves with LED lights on the fingertips. Gloving and EDM go hand in hand. "It's a dance art form where you use your hands and create movement with light from the gloves," said Lim, 27. 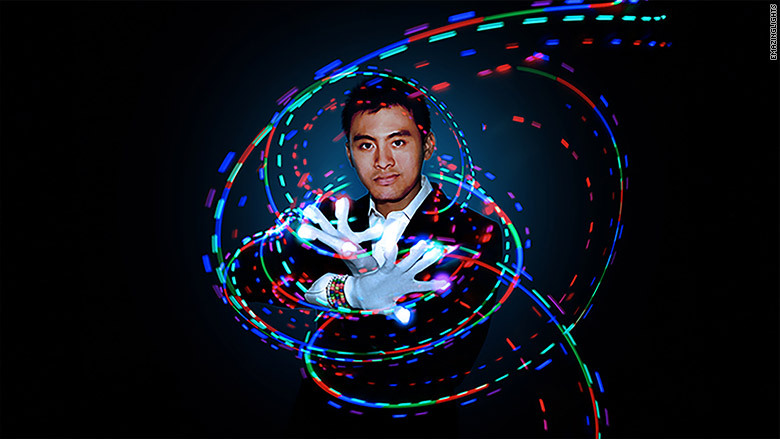 From a one-person startup in 2009, Lim has evolved EmazingLights into a 52-person operation with projected sales of $13 million in 2015. And Lim believes he's only tapping "a sliver" of the potential market. "EDM is estimated to be a $6.9 billion industry," said Lim. "It's huge outside of the U.S. and it's becoming more popular here now." Lim's girlfriend introduced him to gloving six years ago at his first rave. "I have two left feet. But I put on these gloves with lights on them, and I attracted a crowd. I thought, 'What the hell. This is so cool.'" He soon realized there weren't many companies providing the gloves. "I took $100, bought microlights and made the gloves myself," said Lim. He started selling them on eBay (EBAY), Amazon (AMZN), Craigslist, and out of his trunk at parking lot music events that he organized in his hometown of West Covina, Calif. Within eight months, he developed a large following and bagged $250,000 in sales. 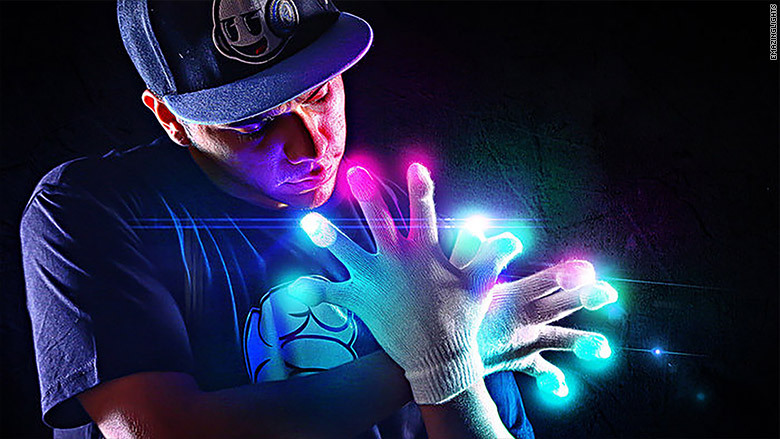 Lim officially launched EmazingLights in July 2010. He quit his day job at Deloitte later that year. Today, the gloves sell for anywhere between $30 and $180. Lim traces his go-getter attitude back to his school days when he would burn and sell CDs and gaming systems. "Growing up, we didn't have a lot of money. My parents came from China and had a doughnut shop in California," he said. "I learned that if you want something, you do it yourself." His rapid success has been timely for his family. "My parents retired with a lot of debt. They were about to lose their house and I was able to help them," said Lim. Today, his father and brother both work at EmazingLights. In addition to the gloves sets, Lim has added two more EDM-inspired clothing brands to his growing empire. There are also five stores EmazingLights around the country, which sell gloves and other EDM paraphernalia. In March, Lim appeared on ABC's Shark Tank, where he received a $650,000 investment from investors Mark Cuban and Daymond John for 5% equity in the company. Lim said he's still finalizing the deal. "The biggest factor in my success has been finding a sweet spot in the market," said Lim. "From there, I've built a great team that's as talented and as passionate as I am. They're not just there for the paycheck."